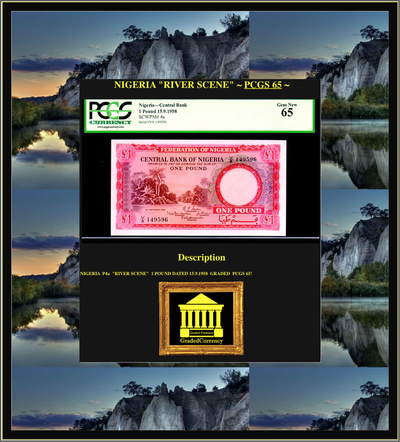 NIGERIA P4a "RIVER SCENE" 1 POUND DATED 15.9.1958 GRADED PCGS 65! 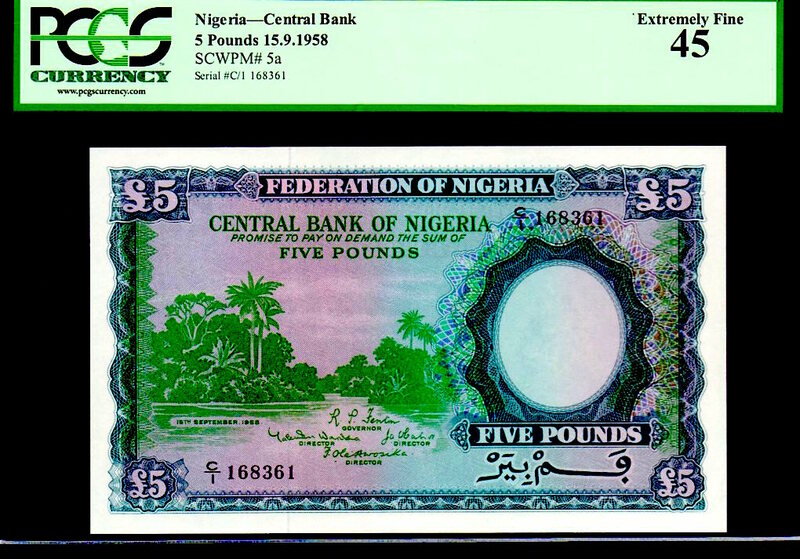 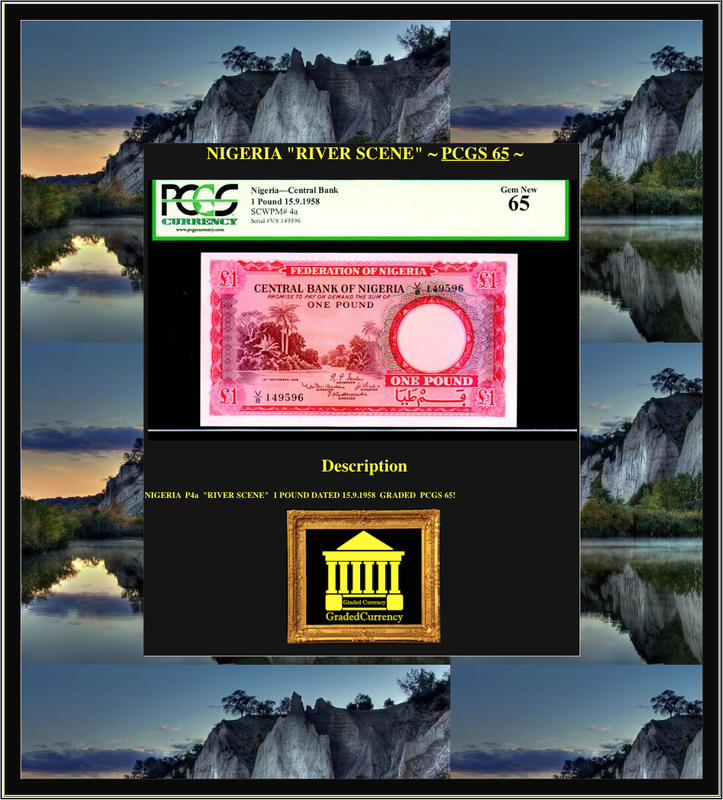 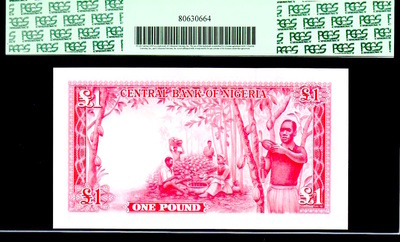 NIGERIA P5a "RIVER SCENE" P.C.G.S. 45! 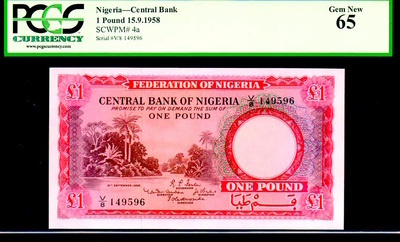 FINEST! 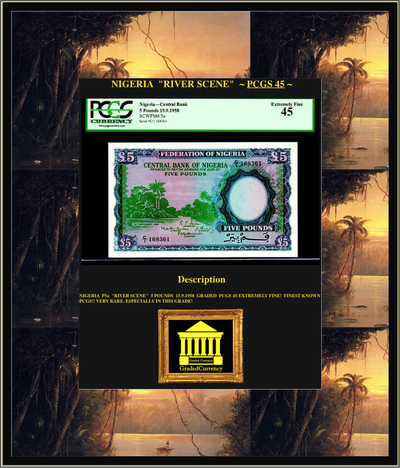 NIGERIA P5a "RIVER SCENE" 5 POUNDS 15.9.1958 GRADED PCGS 45 EXTREMELY FINE! FINEST KNOWN PCGS!! 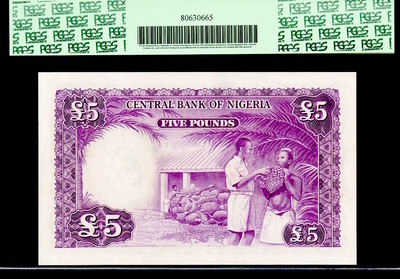 VERY RARE, ESPECIALLY IN THIS GRADE!